Nice to meet you, Ben! Tell us a bit about yourself! My name is Ben, I live in New York but grew up in Kent where the Starfish Malawi connection started through my family. I'm a brand consultant and own a little brand design agency called Yellow. We helped Starfish last year by giving it a little face lift. Will the Berlin Marathon be your first marathon? This is my second marathon, the first was New York last year. I loved it, it's a unique experience and the atmosphere and support were amazing, and yet it wasn't easy. I definitely struggled with "the wall" at mile 21 and had to be helped over the finish line by my friend (which is why I've persuaded Jack to run with me this year). I ran that for Team for Kids, the official charity of the New York marathon and it seemed like a great idea to run this one for Starfish Malawi and hopefully encourage others to do the same in the future. Hmm..Id give it a 6 out of 10. I had tendonitis in my achilles, pretty common so I'm told. I had some sound advice from another Starfisher - Simon Thompson - who is a pro-marathon runner and that helped me out and now I'm feeling free of injury but a little slower than last year. Main thing is to get round, raise some money, have some fun, try not to cry, or be sick and grab a beer at the finish line (they give them out in Berlin apparently). What inspired you to raise funds for Starfish Malawi? My mum started my interest in Starfish Malawi. She works in a school that was linked with another in Salima and was able to visit some 6 or 7 years ago. Not only was she able to share her stories but she struck an amazing friendship up with the headmaster of the school - Rabson Mpinganjira, who was able to visit the uk thanks to Starfish. In 2012 I was ready to take a work sabbatical and spent 4 months traveling from Nairobi to Cape Town, including a hike up Mount Kilimanjaro, which raised money for Starfish. I stopped in Malawi for 2 months and was hosted by Emmanuel and Mary-Anne and their wonderful children in the Starfish house and by Rabson at his home and his mothers home in the village. I was able to spend time in the schools, teach some classes, complete a project that connected children in Brooklyn with children in Salima and spend time with the team at Glad Tidings. It was an amazing, heart-warming, eye-opening experience. What struck me most was how friendly and happy and pure-hearted everyone was even when they had very little. Even compared to the people I met in other African countries. The children, and there are many of them in Malawi, are just amazing. And yet they don't have the luxury of being children for long, or even having a minimum education. Which is where Starfish Malawi can help. 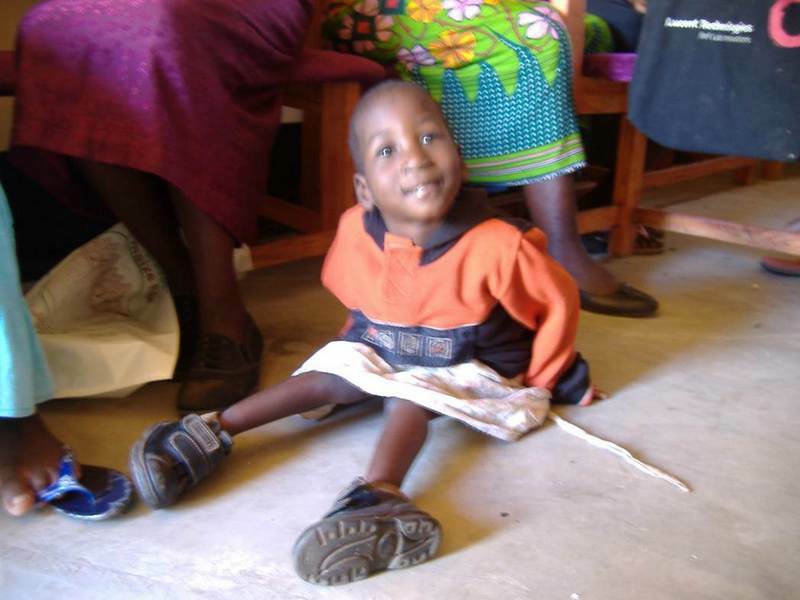 What do you think makes Starfish Malawi is a little different? Firstly the people. Every single person that works for Starfish does so because they care about making a difference. They care about every individual. It isn't a job. That applies to the team in the UK and the team in Malawi. There is a Christian foundation to the charity, I'm not a Christian myself but I believe in treating others as I would have them treat me, and I see that value being lived out by all the Starfishers. It's also a rarity to be able to support a charity where you know that every single penny raised goes directly to helping individuals, and you can follow the stories of the people you help. The sponsor a child program is one way you can do that, the school linking program another, but there are lots of intimate connections between people here and there. It's one big community, and hopefully it will get bigger. How much money are you hoping to raise? My minimum target is £779.30, I picked this because that is the distance in miles between Brooklyn and Salima , but I'm hoping to push it above £1,250! I have some friends and family nudging to do.